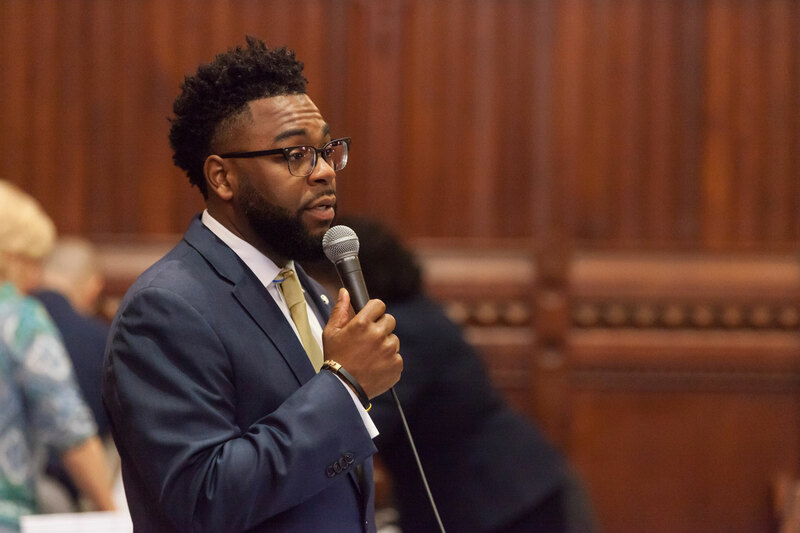 The House and Senate unanimously approved a bill to increase the recruitment and retention of minority teachers. Senate Bill 455, An Act Concerning Minority Teacher Recruitment And Retention, changes the teacher certification laws to make it easier, in certain areas, to obtain certification or cross endorsement, requires the state Department of Education (SDE) to take certain actions to recruit and retain minority teachers, and adds members to the minority teacher recruitment and retention task force. Increasing the number of minority teachers in our schools is one of my legislative priorities, and this bill is an important step toward diversifying that workforce. This is more than a feel-good bill - the research firmly proves that children of color perform better when they have teachers of color. We’re maintaining Connecticut’s high standards for teachers while creating pathways to recruit teachers from out-of-state or from among employees already in the school system. All children should have a chance to see themselves in the educators they look up to.